Those of you who have poked around in the past entries may find this one to be hauntingly familiar. But it was worth it to me, personally, to whip this together. Meet the Pepito. 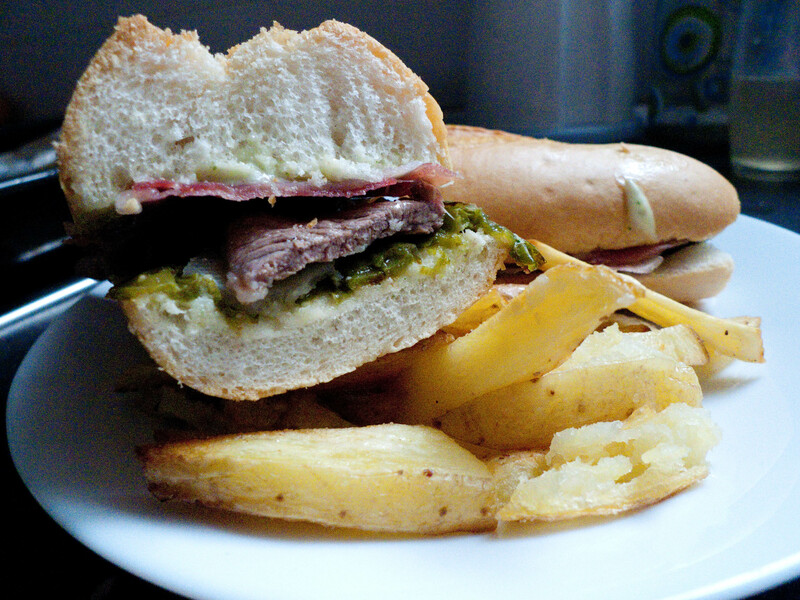 It is the Serranito‘s beef montadito cousin. 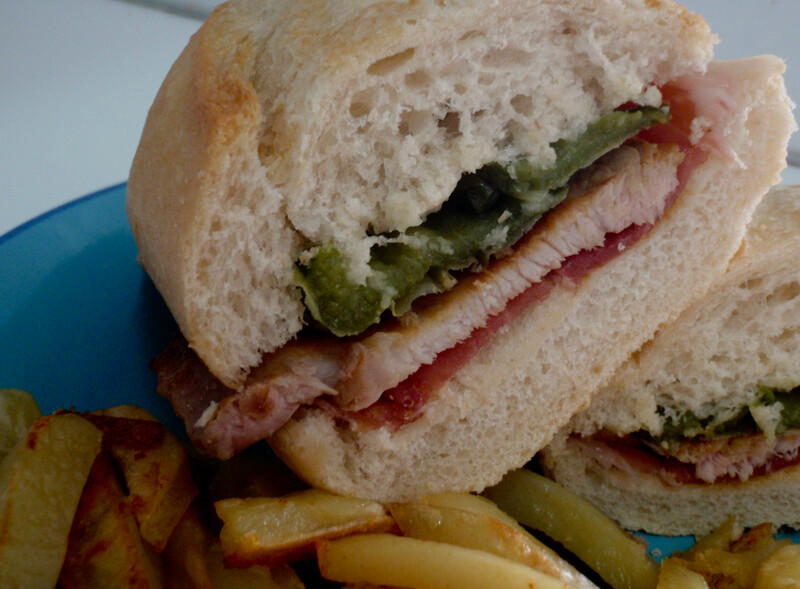 For those who aren’t here in Spain or don’t recall the earlier posts, montadito’s are mini sandwiches for snacking and tapearing. I have become one of those bloggers that I don’t entirely approve of – food bloggers who post pictures without a single recipe. When I read multiple posts like that, I get resentful, as if they are flaunting their luck that I cannot share. But really, that’s just jealousy. When they tell me where I can find that food, it’s like having visual yellow pages and my heart warms with travel fantasies. It’s worse when it’s a recipe of their own making and they maliciously leave out an ingredient or step, like an ancient craftsman guarding a certain glaze or technique. If you are going to have a public blog, why in the world are you not sharing the bounty of good food? It just makes me tend back towards my old grudge against blogs – at best they are clever, informative, and entertaining. At worst they are a socially acceptable form of public, emotional masturbation. Yes, I understand this is hypocritical as I myself have a blog. But I swear that if I have a recipe, I will hand it over. I want to share tasty bits, not use them as culinary ransom for company. Stepping off soapbox. In apology for recent posts about food you cannot eat, I offer something you can! And it’s Spanish! Double win! Hey, I'm Desa. I've been bouncing between the Pacific Northwest and Sevilla, Spain in the last few years and from tiny apartment to tiny apartment. I cook mainly for one, which means some potentially boring meals, but here I'll be sharing the food that excites me. Feel free to offer suggestions, commiseration, or desires. And thanks for coming by!